No fair peeking at the answers below. • What Ford model made its first on-screen appearance in the James Bond film Goldfinger in 1964? • After turning down 18,000 names, what did the Ford Motor Company name its new car in 1956, in honor of Henry Ford’s only son? • What Ford model broke the crushing machine used in the “roof crush” safety test because it’s so strong? 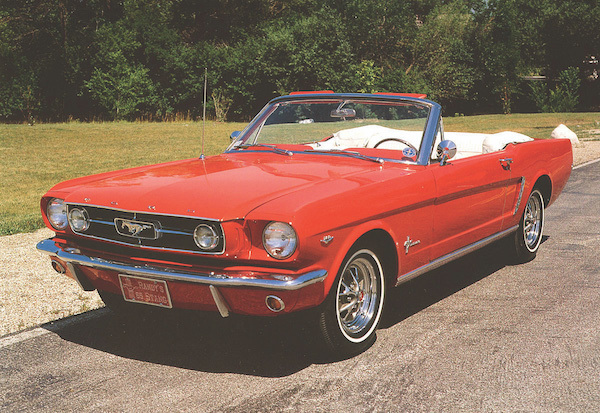 • What Ford model was named the most influential car of the 20th century in the 1999 Car of the Century competition? Answers: 1. Mustang. 2. Edsel. 3. GT. 4. Model T. Source: Wikipedia. Photo: oldcarmanual.com.